Bingo Hombre Review - 200% bonus on your 1st Deposit! Unfortunately there is no promotional scheme available on Bingo Hombre to assist us in advertising the site. As such we have provided you with an alternative called BoyleSports Bingo, which is an impressive gaming site offering a great choice for any type of player. Mobile Bingo Bonuses bring you a quirky and fun gaming site called Bingo Hombre, so if you fancy a bit of the Mexican spirit and we don’t mean tequila, then check this out. 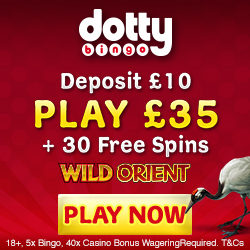 They offer a great choice of bingo and slot games including household names such as Fluffy Favourites and Shaman’s Dream. Registering with Bingo Hombre is easy and when you make your 1st deposit of a minimum £10, you’ll receive a 200% cash match bonus. This basically means that on the minimum £10 you’ll receive £20 bonus credit, which makes a grand total of £30 to game with. This credit is a great way for you to get the ball rolling and play around on a number of games so you can try the site out. 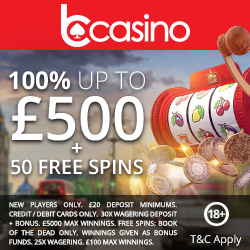 As an additional welcome from Bingo Hombre you’ll also receive the chance to spin on their bonus wheel where you are guaranteed to win anything between £5 and £2,500. As a newbie you’ll also have the chance to attend their newbies jackpot room, where you can mingle with new players and win a share of £500. This game will be available to you the Friday after you register at 9pm, so make sure you check it out. Bingo Hombre offer regular weekly and monthly promotions including Weekend Wad, Monday Madness, Lucky Lotto and Friday Night Takeaway. From your 2nd deposit onwards you’ll receive a reload bonus on any amounts over £10, with the amount of bonus depending on your VIP status. Make sure you check out the reload bonus tab before you make your deposit to see how much you’ll get. We’re sure you’re eager to tell your bingo loving friends about this great site so why not earn a little bonus for it? For each friend you refer you’ll receive 5,000 loyalty points which can be converted into additional gaming credit. Bingo Hombre is available on Facebook and Twitter so make sure you check out their pages to keep up to date on the latest games and promotions. From the point you register you’ll join their loyalty scheme, where to earn points is as simple as playing. These points can be converted into additional gaming credit to keep the fun going. They also have a VIP scheme which is linked to their loyalty scheme so the more points you gain the higher you move through their 5 tiers which include member, bronze, silver, gold and black. Each level offers bigger and better rewards such as higher reload bonuses, cash back, birthday bonuses and mystery gifts. So if you’re ready for a party then simply head to Bingo Hombre and we’ll take you through to register, and claim your 200% cash match bonus.